I encountered this farm worker on a hike near Viñales, where he was picking yuca, a root vegetable sometimes known as manioc or cassava. He kindly posed for a portrait, without removing his cigar that was in his mouth as he worked. 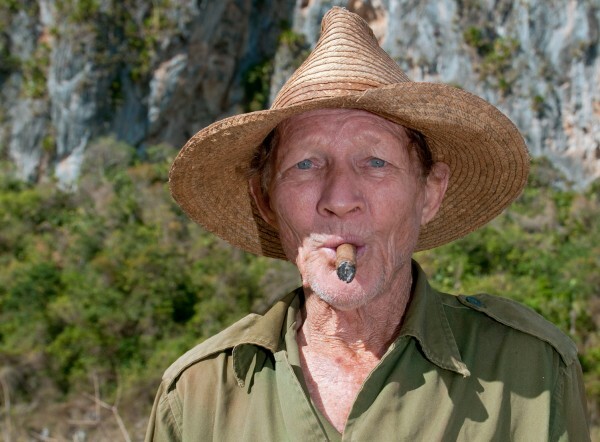 I was struck by the number of Cubans in the western province who are fair skinned and blue eyed.